Founded as the School of Engineering in 1965 with just two faculty members and 75 students declaring engineering majors; the school today serves more than 4,600 students (3,728 undergraduates and 961 graduates) enrolled in 12 undergraduate degree majors and 13 graduate degree programs. The school was renamed The Henry Samueli School of Engineering in 1999 after Samueli, co-founder, chairman and chief technical officer of Broadcom Inc., made a generous donation. Faculty members are scholars and leaders in their disciplines and have achieved worldwide honors and recognition for their pioneering research and dedicated teaching. Nearly a third are fellows in professional societies, and 14 are members of the National Academy of Engineering. The school has eight endowed chairs, eight Distinguished Professors and four Chancellor’s Professors. The school’s emphasis on hands-on learning is attracting high-achieving students who want more than a classroom experience. 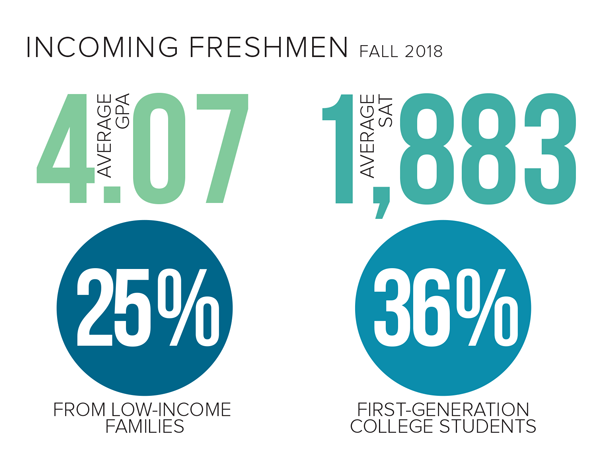 This year’s class of incoming freshmen had the average SAT score of 1,883 and an average GPA of 4.07. 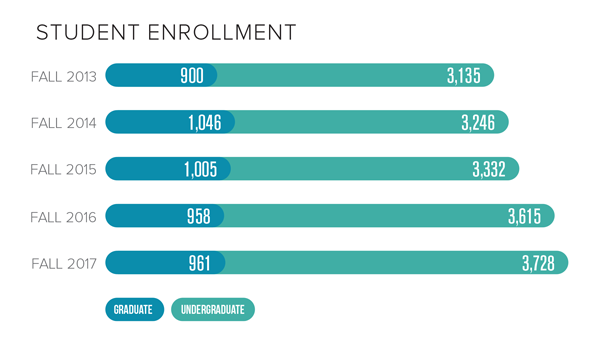 Thirty-six percent are first-generation college students and 25 percent are from low-income families. This past year, the school granted 742 bachelor's degrees, 261 master's degrees and 81 doctorates. 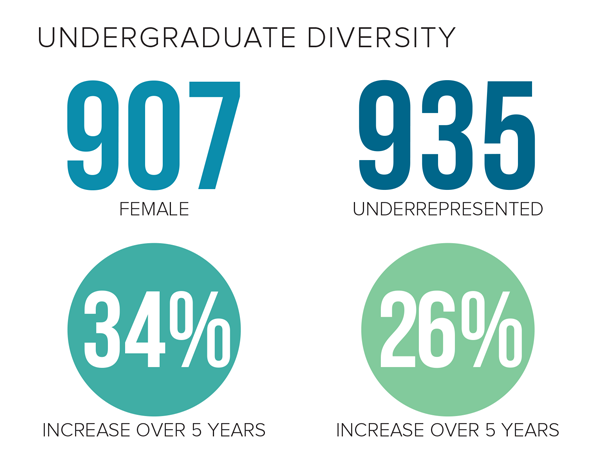 Undergraduate and graduate student diversity is a key initiative for the Samueli School, with efforts to increase both underrepresented students and women. The school is actively involved in STEM outreach, from teacher training and a variety of K-12 programs to a collaboration with local community colleges. Research is integral to the school’s mission to educate students and benefit society. Engineering faculty pursue investigations that are timely, socially responsible and forward thinking. They work in partnership with industry and state and federal agencies to promote the transfer of research to applications that improve lives. 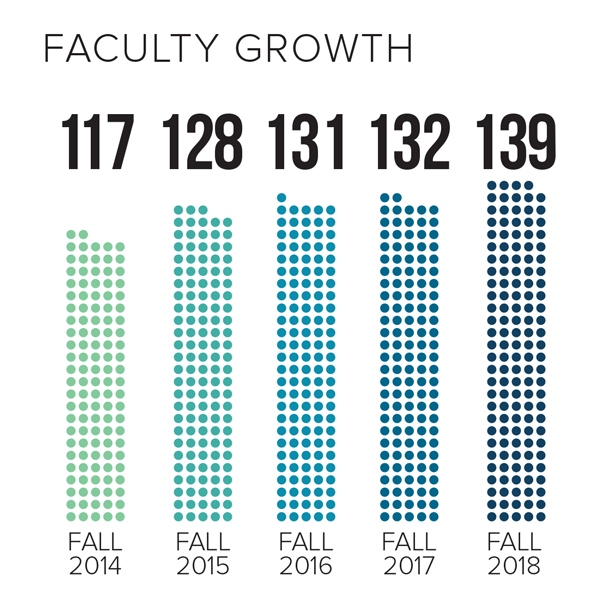 More than two-thirds of undergraduate students actively participate in faculty-led projects. 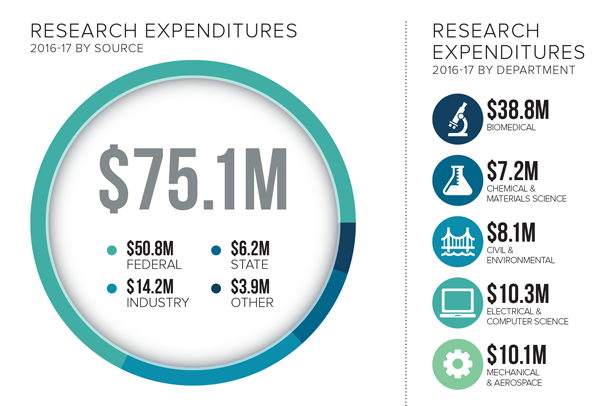 Current research thrusts include communications and information technology, human health, energy and sustainability, and advanced manufacturing and materials. 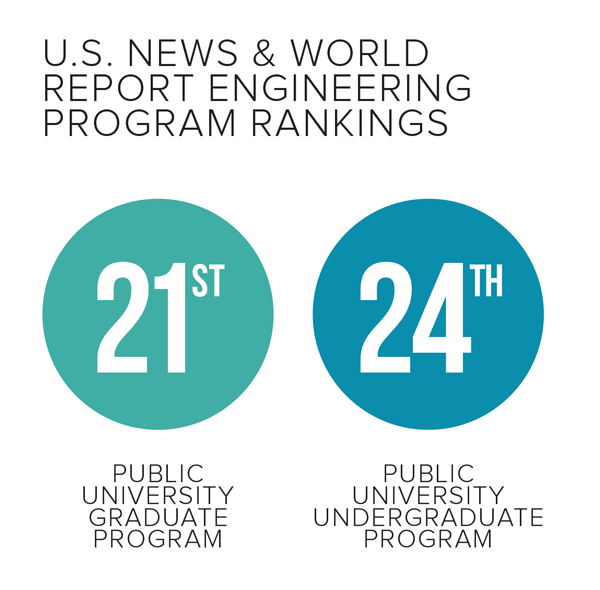 The Samueli School of Engineering is ranked 21st in U.S. News & World Report's current listing of best public engineering graduate schools. Its undergraduate program is ranked 24th among publics. Rankings are based on a survey of engineering deans and senior faculty at ABET-accredited programs in which a doctorate is the terminal degree. Private support from the community, alumni and corporations was $16.1 million in 2017-18. Gifts to the Samueli School help fund scholarships and fellowships for students, exciting research activities being conducted by faculty and graduate students, STEM outreach and critical academic programs.